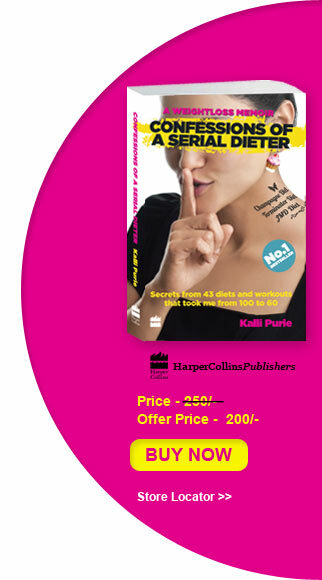 KALLI PURIE is a self-diagnosed chocoholic and a self-confessed serial dieter. It has taken her years of therapy, diets, workouts, trainers and dieticians to get hold of her life and find her ideal weight. Her two deliciously edible kids are the only treat she is allowed. Though she has achieved many things as an alumna of Modern School, a graduate from Oxford University and a media professional, nothing has brought her more joy than shedding half her weight. She currently lives in New Delhi and is on a new diet.